Doh, the bus in the video is a normal bus. I was hoping to see the inside of the double-decker. 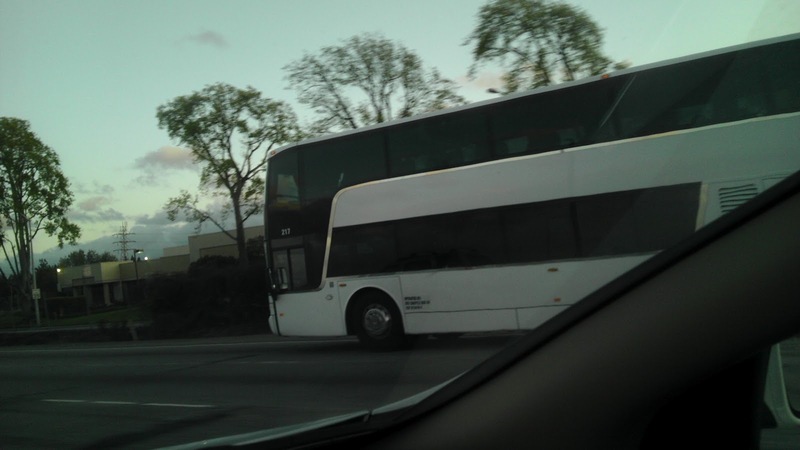 Apple has similar buses, but they are silver with no lower windows. Google. I know ... I work there. These are very nice luxurious buses ... doubt they would ever be used for public transit.